Thread: Red Lion’s 1st Annual Sportsman & Gun Show! Wow - Gunshow in Red Lon - we have arrived! 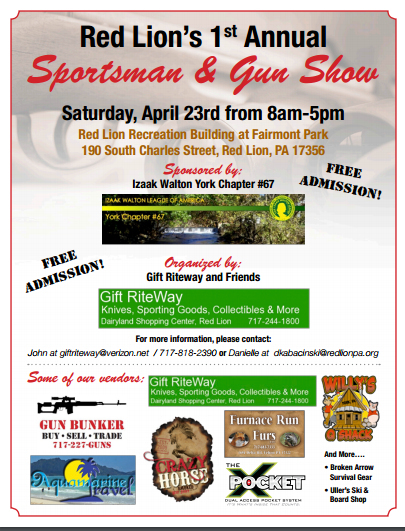 Re: Red Lion’s 1st Annual Sportsman & Gun Show! Can you get a larger version of the flyer? Wow. Wish i had been active on the forums at all this year to see this. Crap. IMHO - not at all! However - it was the first one - looks like they are going to try it again. First Annual Ridgway Gun Show?